Note that you can view the published result by clicking the “news” link under “departments”, but in so doing you will leave the administration process. You may immediately use the “back” button on your browser to return to the administration process to continue updating your site. 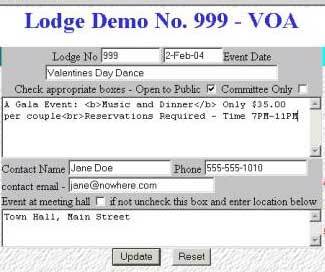 Date: Replace the current date with the date of the event – use the format shown. Event Title: Self Explanatory – fill it in. 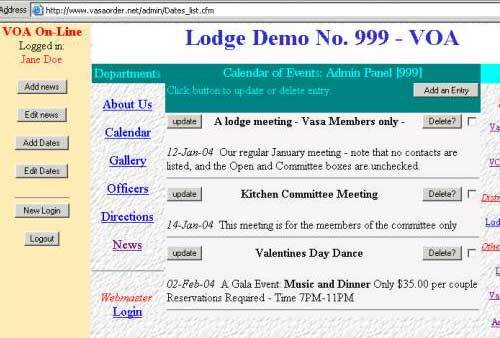 Checkboxes: Open to the Public (non-members) – check if it is an open event like a dinner, dance, performance etc. 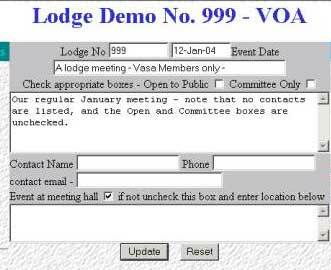 Committee Only: Check if applicable – example might be a closed committee meeting. Description of the event – if open to the public remember to include time, price, etc. 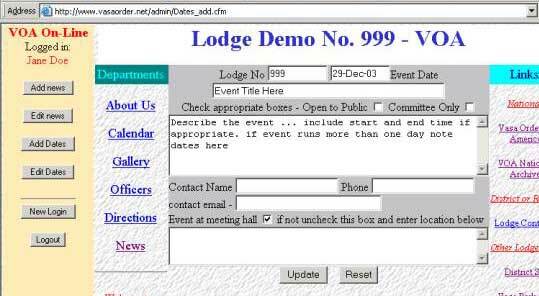 Contact Name, Phone, Email – enter them if you wish them to be displayed with the event posting. 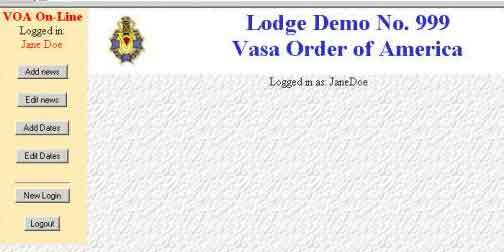 Note that the second item prints in italics since it is open only to committee, as explained in the header. 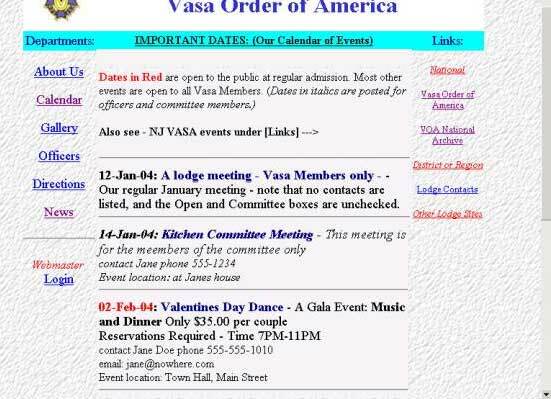 The third item shows the date in red, indicating that it is a public event open to all. 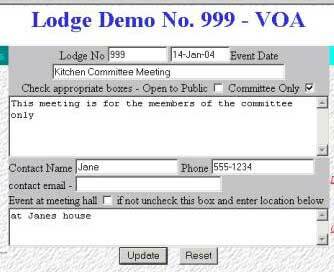 The contact information and locations entered for appropriate events are displayed with the event posting. Please disregard the references to NJ links in the sidebars and text, this is only a sample. More info will be forthcoming on photo gallery and other panel update processes.